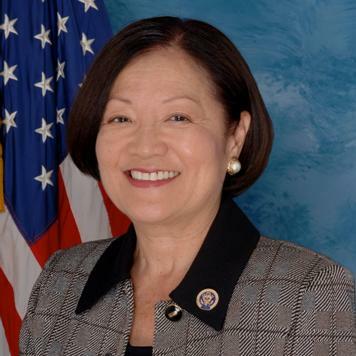 WASHINGTON – Sen. Mazie K. Hirono (D-Hawaii) has been named the ranking member on the Senate Armed Services Committee’s Subcommittee on Seapower. The assignment places Hirono in position to oversee matters directly relating to the U.S. Navy and U.S. Marine Corps. “I am proud to serve as the ranking Democrat on the Subcommittee on Seapower,” said Hirono. “There exists a strong relationship between Hawaii and the Navy and Marine Corps. Hawaii’s role is further enhanced as we continue our nation’s rebalance to the Asia-Pacific. Headquartered in Hawaii, the U.S. Pacific Fleet and U.S. Marine Forces Pacific’s area of responsibility covers more than half of the earth’s surface. The Subcommittee on Seapower is responsible for overseeing the vast majority of Navy and Marine Corps programs, Marine Corps ground forces, Navy and Marine Corps helicopters, Navy and Marine Corps research and development and strategic sealift and airlift research and development programs. The U.S. Pacific Fleet consists of approximately 200 ships, 600 aircraft, five aircraft carrier strike groups and 140,000 sailors and civilians. U.S. Marine Forces Pacific includes two Marine Expeditionary Forces, 86,000 personnel and 640 aircraft. Hawaii is home to Joint Base Pearl Harbor-Hickam, Pearl Harbor Naval Shipyard and Intermediate Maintenance Facility, Pacific Missile Range Facility and Marine Corps Base Hawaii. Hirono also serves on the Energy, Intelligence, Small Business and Veterans’ Affairs committees.